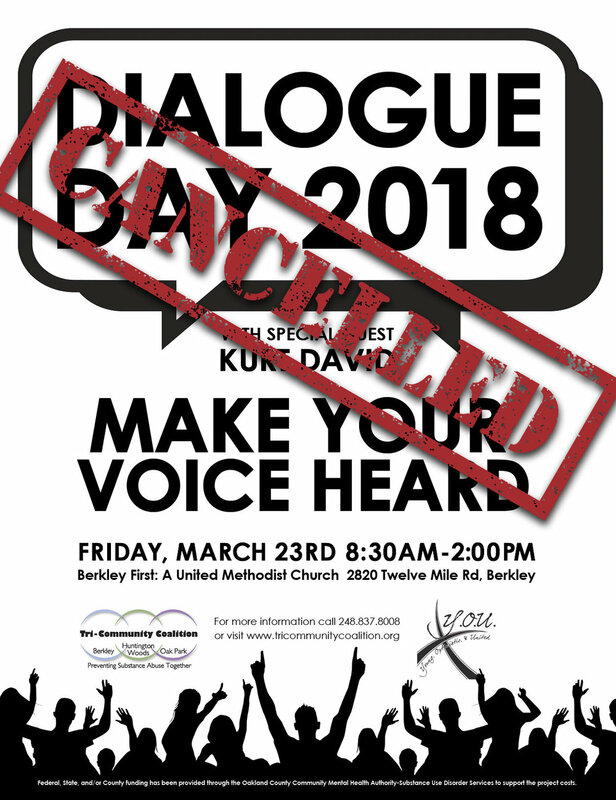 The Tri-Community Coalition regrets to inform you that Dialogue Day on Friday, March 23rd has been cancelled due to the closing of Oak Park School District because of safety and security concerns. We appreciate your support of our Coalition and our local youth. We will be rescheduling this annual event later this year. Thank you. If you have any questions, please contact Judy 248.837.8008 or jsrtricom@tricommunitycoalition.org.